On January 1, 2018, recreational marijuana became legal in the state of California. In July 2018, California instituted their cannabis packaging requirements, a major component of which pertains specifically to child resistant packaging. See the California Cannabis Packaging Requirements Checklist here. 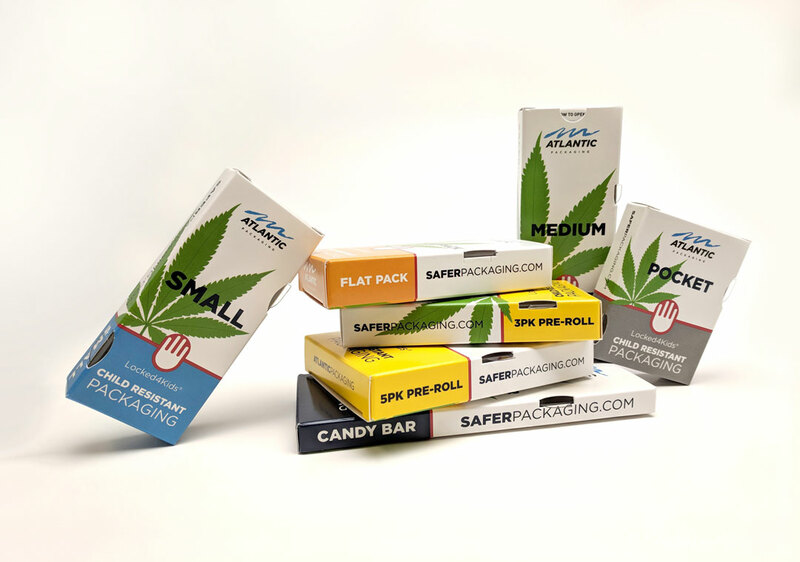 Atlantic’s child resistant cartons for cannabis products are designed and manufactured to meet these requirements. Child Resistant – Our cartons have been tested and certified according to US16 CFR 1700.20 and ISO 8317. They are extremely effective in restricting access by children while still being senior friendly. Resealable – The package can be closed after each use with a box top closure. Opaque for edibles – The cartons are opaque, featuring your branding in high-quality, billboard-style graphics. To check your compliance with California regulations, contact our Cannabis Sales Team at Atlantic.